The Gratitude To Bliss lifestyle is about loving and appreciating YOU. Created by health coaches, these bangles are the perfect reminder to nourish your body every day with 8 glasses of water. Each time I enjoy a glass of H2O, I switch a bangle to my other arm and think of something I am grateful for. When I wear my bangles, I feel so blessed. 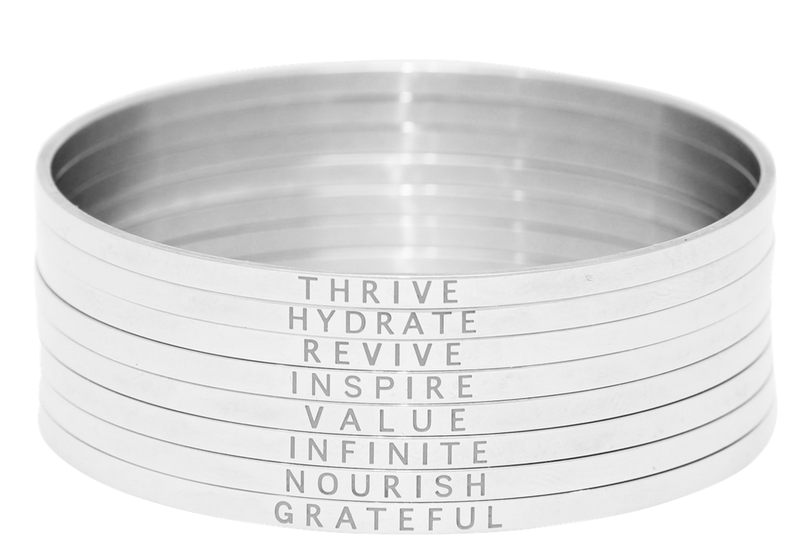 Set of 8 stainless steel bangles each engraved with an inspiring word to mindfully motivate you to start thriving. Infinite possibilities start with the simple act of drinking 8 glasses of water.